Italy is roughly twice the size of the state of Florida, so it takes some time to get from one city to the next. 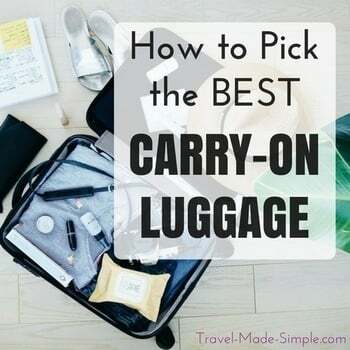 In order to really enjoy your vacation to Italy, you should choose just a few places or stick to one or two regions so you won’t lose too much time in transit. When planning your Italy itinerary, trains will probably be your primary mode of transportation. 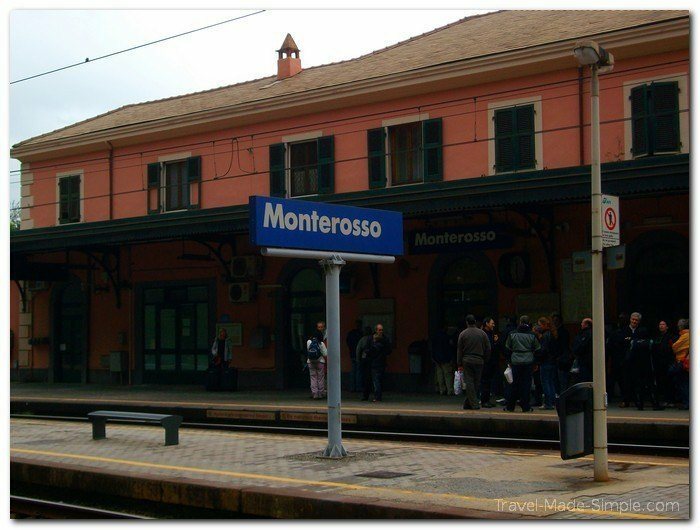 Figuring out the details of train travel in Italy is an important piece of your vacation. Trains in Italy are usually fast and reasonably priced, making them better than flying in most cases. Trains also provide you with a nice view of the Italian countryside while in transit. Tren Italia is the state-owned rail system, operating the majority of the trains in the country. You can find their site in English here. 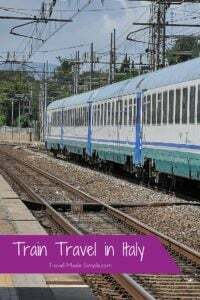 You can also book tickets through Italia Rail which is an agent that books tickets on Tren Italia. They charge a small fee, but sometimes their site is easier to use and the English translations are sometimes better. For example, even on the English version of the Tren Italia site, you have to know to type in Firenze, not Florence, but Italia Rail uses the English versions of city names. Another option is Italo Treno. They’re a privately owned rail company operating high speed trains on certain routes. Their trains have some extra perks that can be appealing. Often their prices are comparable with Tren Italia, so it’s worth looking at both for the long distance, high speed routes. On long distance trains, you must have a seat reservation. Therefore it’s best to book ahead of time since there is a small possibility they could sell out. It’s probably even more important to book ahead if you’re traveling by train in Italy with kids. Although this rarely happens, so you could probably buy a ticket at the last minute if you want to, but prices are also cheaper if you book in advance. Examples of long distance service would be Rome to Milan, or Florence to Venice. Regional trains do not have seat reservations, so they can’t sell out. Prices are also fixed for regional trains, so no matter when you buy your ticket, you’ll pay the same. These aren’t as fast as the high speed long distance trains, but they’re also primarily for short trips anyway. Examples of regional service would be Florence to Pisa, or Bologna to Parma. Are all these train sites too confusing? 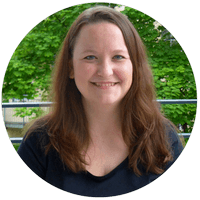 Try booking trains in Italy and all over Europe using Omio (formerly GoEuro). It’s straightforward and all in English, and it can even show you bus and flight options. The shorter distances aren’t so far, but each travel day really adds up. Remember that you’ll need to add time to get to the train station and to your accommodation once you arrive. This could add anywhere from 30 minutes to two hours total depending on how far you stay from the train station. The following are average times it takes to get between destinations on the high speed trains, plus any applicable regional trains. 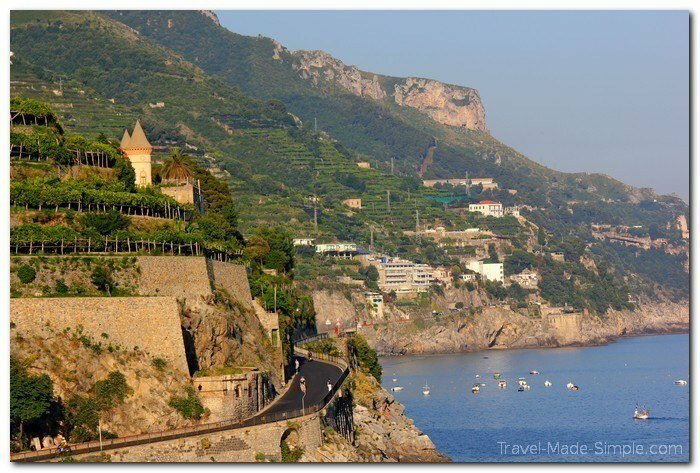 There is a local bus that runs along the Amalfi Coast since trains do not go out that far. For example, a bus from Salerno to Amalfi Town takes about an hour and 15 minutes. Sometimes there are ferry options depending on the town you’re going to. The Amalfi Coast bus and ferry schedules can be found here. Since the long distance train tickets are generally cheaper when purchased ahead of time, it’s best to buy them online a few weeks before your travel dates using one of the sites listed above. Regional tickets are often not available for purchase online more than a week ahead of time. And since the prices are fixed for the regional trains, there’s no reason to buy them ahead of time anyway. Just get to the station early and buy a ticket from the machines. You can even switch the language on the machines to English. There are ticket windows if you want to speak to a person, but they might not speak much English. Long distance, high speed train tickets don’t have to be validated because they bind you to a specific train and reserved seat. However, regional or local train tickets do need to be validated. Since you purchase them for a certain route, not an exact train, it’s important to stamp your ticket in the machine before getting on the train. The newer machines are green and sort of oval-shaped, while the older ones are yellow and boxy. You’ll see lots of other people stamping their tickets before heading out to the platforms. There are steep fines if you don’t validate your ticket, so don’t forget! 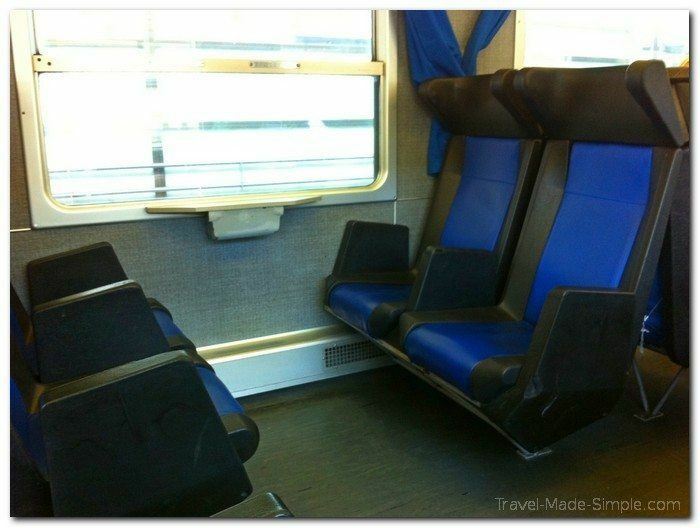 Train travel in Italy is an easy and enjoyable way to get from one city to another. 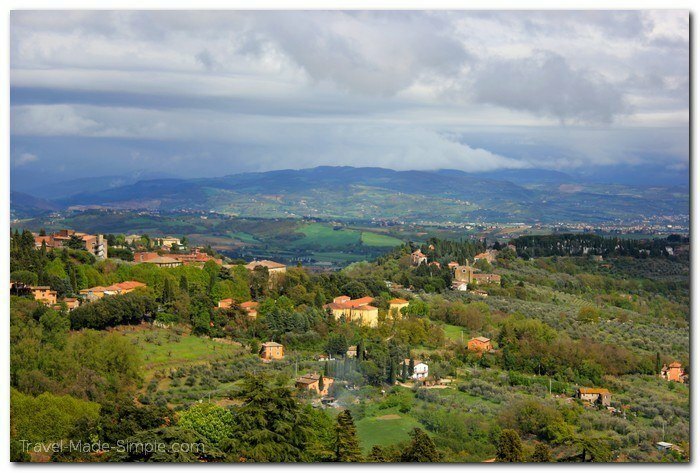 If you will be spending most of your time in cities seeing the highlights of Italy, there’s no reason to rent a car. And unless you’re going from the extreme north to the extreme south, flying will probably take longer than train travel. So sit back and enjoy the scenery as you travel through Italy’s rail system.